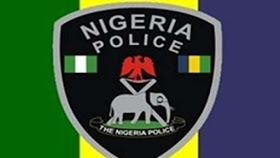 Imo state police officers arrested a 34-year-old man, Chibuike Okorougo, allegedly stealing in the state the solar batteries belonging to the MTN mobile telephony company. Police Politburo Commissioner Dasuki Galadanchi told Southern City News that the suspect, who is a native of Umuenyem Nkwerre, was caught in practice by the surgeons in the administration. The Commissioner, who described development as a financial sabotage, said Ogorogo was arrested at a MTN base station in the R Umugweze Estate Road in Owerri, the capital of the state. Galantanci said: "While at the patrol of the city along Port Harcourt Road, Owerri, our employees received a call from a Linus Umezuluike and we quickly started to act. "The complainant informed that villains had invaded the MTN in the Umugweze Estate Road in Owerri. "The staff of the Scorpios of the Administration arrested Chibuike Okorougo, 34, of Umuenyem Nkwerre, while three others escaped. "A white Mitsubishi with a license plate - XF137GWA - loaded with solar batteries was recovered, we will charge him in court accordingly." The policeman, who said continued efforts are being made to arrest suspected suspects, added that the police's police policing strategies, which his administration implements, have produced fruitful results.